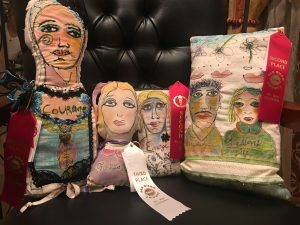 A unique, original, one of a kind free motion stitched and water colored art pillow. Done by Free Motion Stitching using my quirky sense of Humor to capture a Couple’s journey through life. 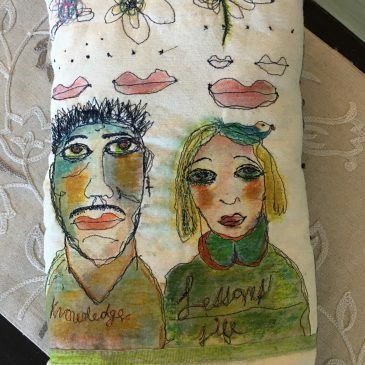 This is the perfect pillow for your home or a wedding gift for the new bride and groom or 1 couple! Convo with me if you would like a signed copy of magazine for additional cost of $15.00, include art book mark.